As many as 48 million Americans – or 1 in 6 - get sick, 128,000 are hospitalized, and 3,000 die each year of foodborne diseases, according to the Centers for Disease Control and Prevention. Food born pathogens, like Salmonella, Ecoli and Listeria, contaminate food somewhere between the farm and our table and are typically the result of poor food safety practices. Contamination can occur in many different types of food, during growth, harvesting, manufacturing, processing, packing, holding and transportation. Unfortunately, the rates of foodborne illness remain generally unchanged in recent years despite modern technology and current regulations. And yet food contamination is known to be largely preventable. The Food Safety Modernization Act (FSMA) is the first major overhaul of our nation’s food safety practices since 1938, and it includes new regulations for facilities that process food. It aims to ensure the U.S. food supply is safe by shifting the focus from responding to contamination to preventing it. This new preventative approach will affect many aspects of food control - from transporting fresh produce to the design of facilities that process foods – all of which will mean big change for food manufacturers. Whether you’re considering a facility upgrade, a brownfield or greenfield project, FSMA rules and guidelines should be evaluated and incorporated as part of the design where appropriate. It is important to realize that the incorporation of these food safety measures is likely to impose additional costs to the project and may introduce schedule challenges. So, what can be done in facility design to mitigate the food safety risk? 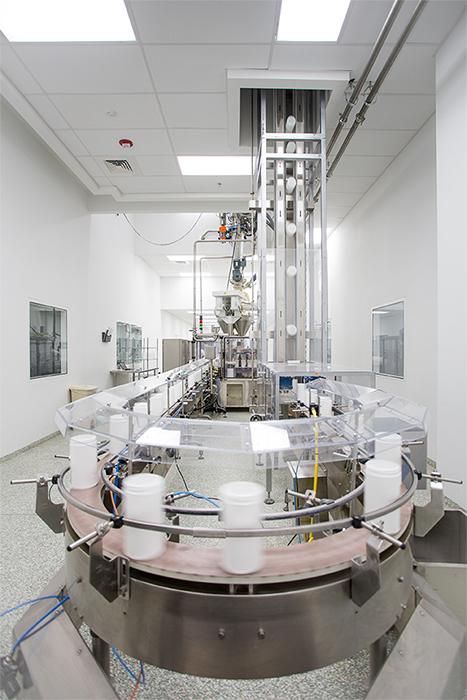 The answer is to bring the best practices already employed in biotechnology and pharmaceutical manufacturing into our food processing plants. Doing so now will ensure that facilities are in compliance with FSMA as rules and guidelines are implemented. 1. Place hygiene junctions at all entrances to the manufacturing floor. Allocate space in new or upgraded facilities for employees to dress, wash their hands and apply their personal protective equipment (PPE). Do it in a way that requires all traffic to flow through the junction area to mitigate risk. When hygiene junctions are accounted for early in the design and budgeting process, it will minimize costly additions at a later phase. 2. Specify cleanable building finishes. Consider finishes such as impervious, resinous floors that are easy to clean and allow for improved sanitation in processing and packaging areas. For wall finishes, specify CMU walls with a block sealer and an easily cleaned high performance coating or insulated metal panel installed in a vertical orientation. 3. Cover open product to the extent possible. Cover product both at the ingredient and finished stages. When product areas need to be open for cooling or moisture evaporation prior to packaging, especially in cases where covering the product may alter it, take special precautions to ensure that there is minimal ingress potential above the product. Avoid lights, fire protection sprinklers, drain lines and piping above open product where possible. 4. Reduce flat surfaces and ledges. Look for opportunities to eliminate flat areas overhead where dust or dirt can accumulate and potentially fall on open product. Supports should have round or square framing positioned to shed dirt. Building ledges should have angled closures and panels should have sloped tops to prevent dust and dirt accumulation. 5. Move toward plant clothes and shoes. Plants that provide workers with uniforms can ensure that the garments and shoes worn in the processing and packaging areas have been sanitized. This practice helps to minimize the risk of introducing outside contamination into the plant. During the planning and design phase it is important to decide on the approach for PPE to include the required space for locker rooms and changing. 6. Migrate to a tobacco-free campus. Exterior smoking locations are typically where birds and bugs migrate. A tobacco-free campus both eliminates the attraction of outside creatures in addition to reducing the potential for contamination on clothes and shoes from the exterior. Understanding FSMA will be critical to successfully avoiding compliance issues and most importantly, delivering food safely from the farm to the table.